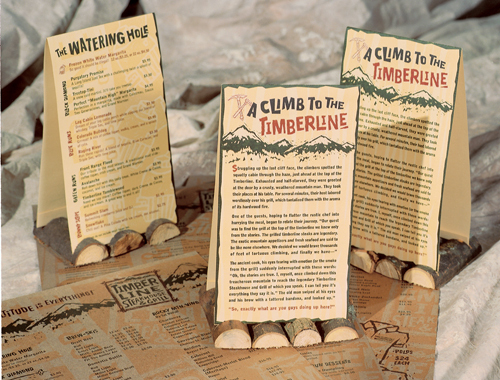 Tent cards are an eye-catching marketing tool that you’ve likely come across while dining out at restaurants. They give you something to browse while you’re waiting for your meal, and if designed effectively, can communicate specials or promotions your customers will be interested in. Adding special details such as custom cutting or lamination can really help your restaurant stand out from the competition! Here are some quick tips and inspiration to make your tent cards the best that they can be. Some tent cards try to cover too many bases. Zero in on one main message and it’ll be much easier to design a successful piece. You’ll also want to regularly switch these up to feature new promotions as they change! If you have different specials on each day of the week, use tent cards to showcase each one on the day. (Image via). Think outside the box and grab your customer’s attention as soon as they sit down. Custom cutting allows your to come up with creative shapes that fit with your vision. 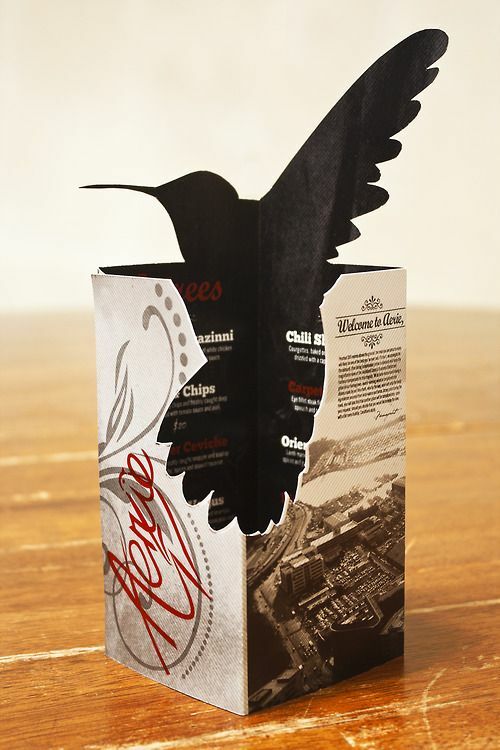 Let your imagination run free and design a tent card that stands out from the competition! (Image via).